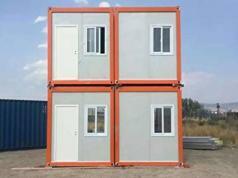 The idea of turning shipping containers into a mobile home is nothing new. You can always try something like that yourself or buy one ready to go. 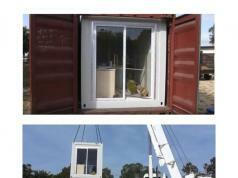 This 20ft container home can be fitted with appliances, kitchen, solar panels, and everything you need to live inside. These homes had a bedroom, bathroom with shower, living room, and smart home integration.